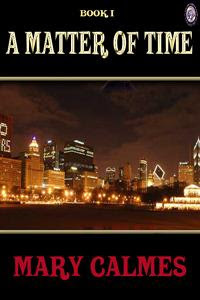 tasting the ‘a matter of time’ series* | Kris + Books = Good. *Sometimes*. *Erm, this is my mini-review for March. Whoopsie. Jory Keyes spends his time drinking and cruising gay bars picking up one night stands. Then suddenly he becomes the only witness to a brutal murder. Although the killer vows to silence him, Jory refuses to go into witness protection. This puts him into conflict with Sam Kage, a very straight and very hot police detective. When passion flares between the two men, Sam is astonished. Is he really gay? And if so, what will this mean to his career, and his life? As the danger threatening Jory increases, Sam senses that nothing is as it seems, and wonders who is really after his newfound and forbidden love? I’d heard so much about this series that when ARe had a sale… Nuff said. Dislike~ One of the many things I’d seen written about this series was the fact the editting – or lack thereof – left much to be desired. Sure it could be annoying at times, but I got so caught up in the story that I didn’t notice these kind of issues unless they were amazingly bad. Even then, it was pretty easy to dismiss because I was too interested in what was going to happen next. Like~ The main character, Jory, was an absolute delight. I’m not sure I would have liked this series as much without him. In many ways, this character is what made it all work, which, in all honesty, is what you would hope since the books are written in the first person from his POV. 😛 He did occasionally come across as TSTL as well as a being a bit too good to be true because everyone adored him; however, he was extraordinarily appealing and just a downright engaging character to read. Dislike~ More of a warning~ I’ve also seen comments that describe this series as being – for wont of better words – a dumbed-down version of Josh Lanyon’s Adrien English series. There’s no doubt there are parallels, in particular in the first two books, but quite frankly how many stories out there do you know where one of the main characters is a closeted cop and his love interest is out and proud?? Yeah, there are slightly less then a gazillion. Case closed. So, what I think: I totally recommend this series, especially if none of the issues outlined above are things that will get your goat as a reader. If you’re anything like me you’ll be able to shrug these off pretty easily and just enjoy this series for what it is – a great read. This entry was posted in action/thriller, contemporary, m/m, m/m romance challenge 2010, mary calmes, mystery, tasting. Bookmark the permalink. I'll second your review. I enjoyed this series muchly, and like you, got caught up enough in the telling that the bits of edit-fail didn't bother me. Like everyone in the books, I fell in love with Jory. Okay, I have the first two and haven't hit them yet. Seems I have a ton of good stuff waiting for me these days. How come my reading mojo seems to be set on simmer rather than boil? Exactly the same thing, Kris – while editing issues usually drive me nuts, I got so drawn into the story that they didn't bother me (mostly). I had heard that Chris, I think it was said at Wave's site that it was something like 750 pages which is rather daunting to publish so it was broken up into more manageable chunks, hence the feel of “to be continued”. Another good review of this series. I must get around to picking it up. Thanks for sharing your views on this Kris. It sounds like the sort of thing I'd enjoy :). Thanks for sharing your thoughts on this one Kris, it sounds like a suspense thriller I would enjoy. Also re “The Windflower”, I'll be in touch once I give it another try and this time hopefully finish it! Totally agree with your review. Really enjoyed the books (though I did notice the editing thing, and it did bug me) and loved Jory. I'd heard the books ended mid-sentance, so I made sure and had them all before I started reading. Editing-wise, I thought her books done through Loose Id were much better, though I still like the story of A Matter of Time best. Wren: Jory was a total sweetie and the relationship he had with his boss was awesome – beautifully developed by the author. Really?? That does make a lot of sense. As I said, the break up of the books was something I both disliked and liked. It meant that I could hunker down and go for a reading marathon, but the breaks themselves were frustrating. Just felt unnatural. It's funny that we both read them one after the other. I'd definitely recommend buying them all if you're going to do it otherwise you'll just get pissed off when book 1 ends. Jen: In all honesty, I was a bit surprised by how much I liked this series considering some of the things I'd heard. That was one of the reasons why I wanted to address those specifically in my tasting and offer up my thoughts on those issues. Good luck with The Windflower! I'll be interested to see if you make it this time. LOL. Was it the fact you thought Jory was TSTL that bothered you? Just curious. I also had some issues with plot holes in the story. And I detested the cop/love interest. Oh, and yes, the editing was too much even for me. Hey, but the rest wasn't so bad! Just don't ask what the rest actually is ;). If I sound bitchy, well, that's probably because I am, a little. PMS and all that :P.
Sara, I was thinking the other day that I'm pretty sure I have PTPMS disorder; ie, post traumatic PMS, which basically means that I'm bitchy all the time. I think the Mumma and the BB would probably both agree. LOL. PTPMS, eh? It seems reasonable to me. I clearly remember the day I realized I would have to deal with it Every. Month. for maybe 40 years. *snort* My realisation was soon followed by 'I wonder how soon I can have a hysterectomy'. LOL. I do not care for what I term episode books where one ends abruptly, can't stand that. So if i were to read this one I would also have to buy book 2…? I've seen mixed reviews on this series. Sounds like I'd be able to enjoy them so will keep them in mind. I'll make sure to get them all at once so I can read them all together. Nice to see a Kris tasting again. Lily: I admit that I was a bit hesitant myself because of the mixed reviews, which is why I first delayed getting them and then they sat in my tbr pile for ages. Also why I wanted to address some of those issues in my tasting. There will be one tomorrow too. I gotta sneak the April one in as well. Jory, TSTL moments and all. It's her latest book “Timing” that I have problems with. The characters are way to similar to Jory and Sam. Me too. He occasionally reminded me of a one of those chicks in horror flicks who run up the staircase instead of away from the evil axe murderer. As I was reading, I was shaking my head at times and sighing 'oh, Jory'. LOL. I haven't read Timing yet, but I'll keep in mind what you said about the similarities. The lack of editing drove me batshit and I've yet to finish it. Do I assume from your review I should give it another crack? Hmmm. If you didn't get too far into the first book before you gave it away, Sarah, then I would definitely give it another try and stick with it. If you got half- to two-thirds of the way into it and it was still driving you batshit, then I think you might need to give this one a miss.